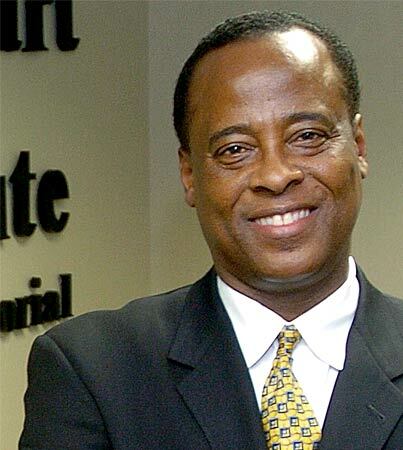 Dr. Conrad Murray will face a preliminary hearing next Tuesday in which the prosecution will lay out the basis of its case for manslaughter. The Los Angeles D.A. will attempt to show that Murray acted recklessly in administering Propofol to Michael the night he died, causing his death. The prosecution will offer over 30 witnesses in support of their case – everyone from medical experts to detectives will be on hand to help the prosecution show that Murray should stand trial. Sources say that somewhat surprisingly, Murray’s defence attorney, Ed Chernoff, plans no questions or responses at the preliminary hearing. Its not that he is admitting the guilt of his client, although that seems obvious since Propofol is not meant to be administered without the presence of an anesthesiologist or outside of a hospital because it is so deadly strong, rather the lawyer will be looking for flaws in the prosecutions case. The reasoning is that since the Judge will almost certainly send Murray to trial there is no point in revealing any of his defence prematurely, i.e., before the actual trial. Ronni Chasen Killed By Road Rage?